To design a garden with that included the Client’s existing plants where possible. 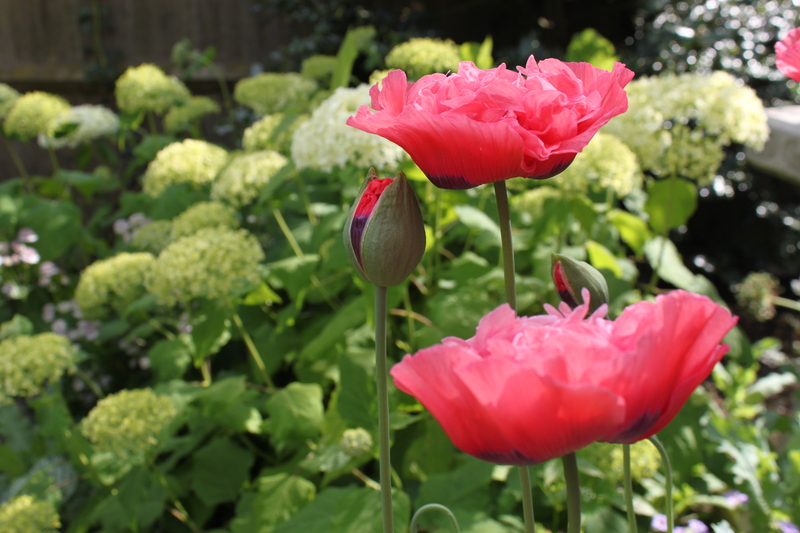 To create a soft flowing garden that was full of colour and interest throughout the year. The plot was triangular and sloping. Some of the garden was in very strong sunlight and other parts in deep shade. 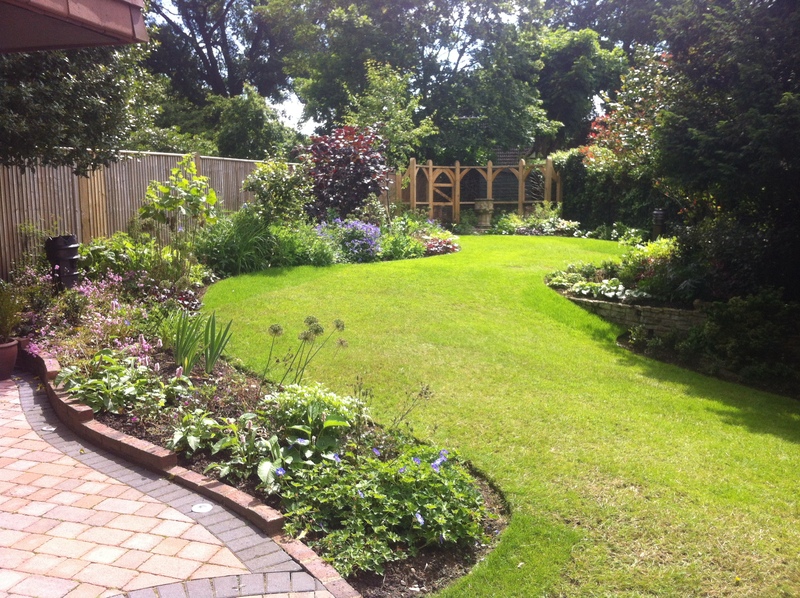 Existing beds were unstructured and did not provide the interest the client was wanting. Planting was clearly the centre of this design and the selection of plants had to be appropriate for the aspects of the garden. 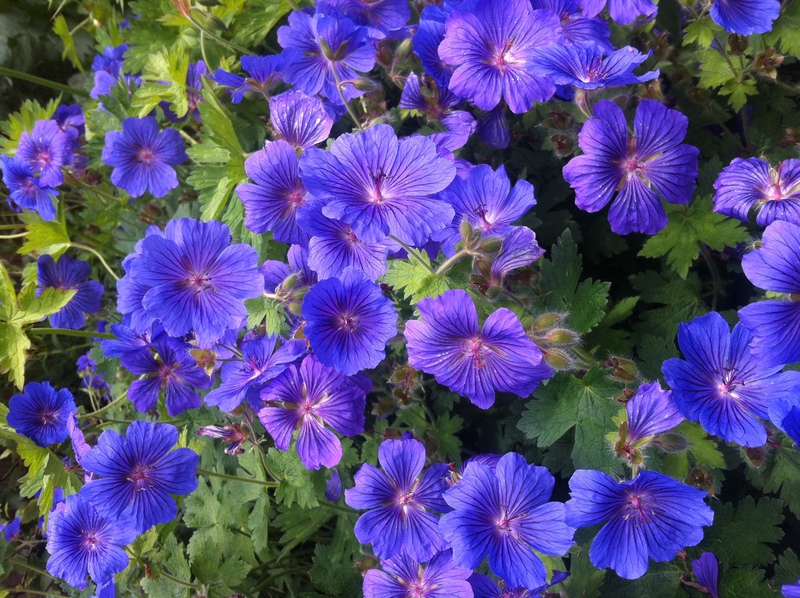 The varying aspects allowed us to select a wide variety of plants which the client loved. As important was getting the shape of the garden right and we created beautiful curves that made the garden appear wider. We added a bespoke oak screen at the rear of the garden to hide the maintenance area and the narrowest part of the garden. 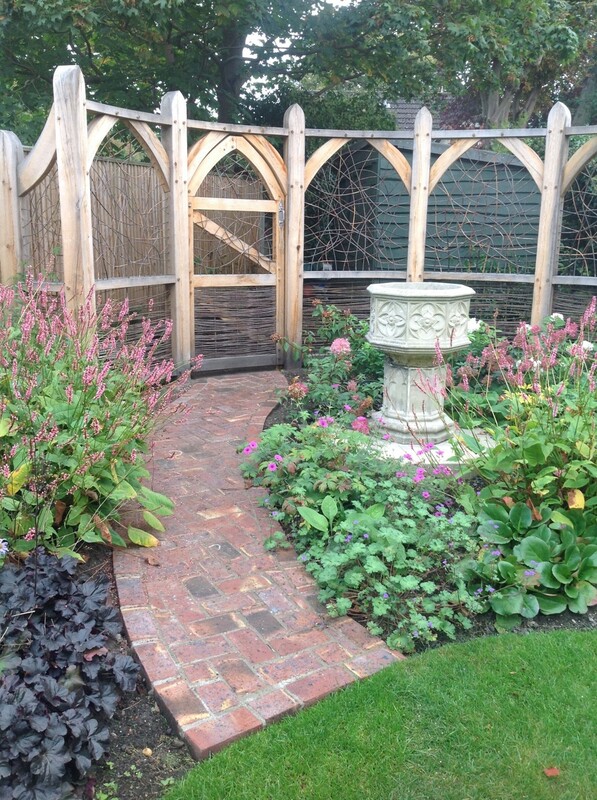 A reclaimed stone font was installed at the rear of the garden as a focal point to draw the eye down the garden.